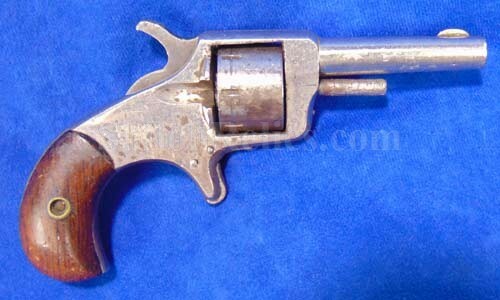 This is a cool little pocket pistol that is often referred to by collectors as the "spur trigger" or "suicide special" revolver. These terms have been applied to this basic design that utilized the Rollin White patent that was held by Smith & Wesson. 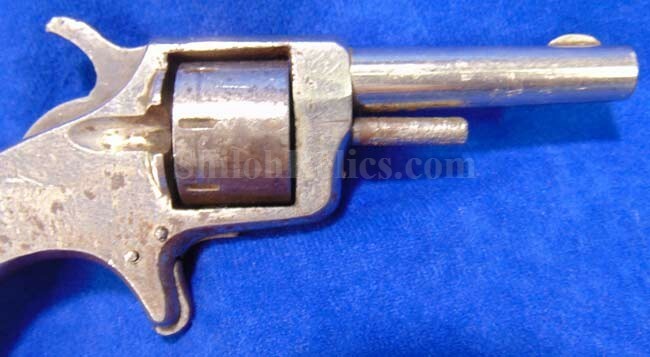 This one fires the 22 caliber rimfire cartridge from the 7 chambers in the cylinder. 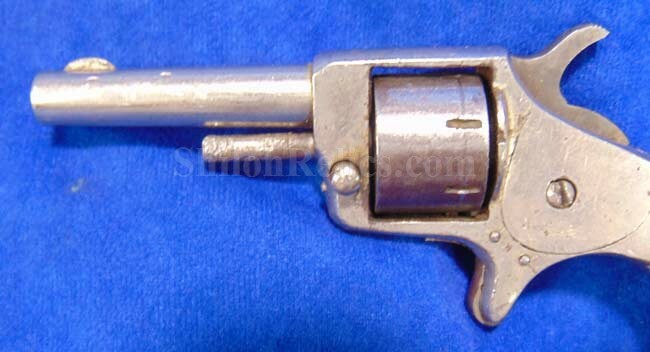 It has the full-length barrel that measures 2-1/4th inches. 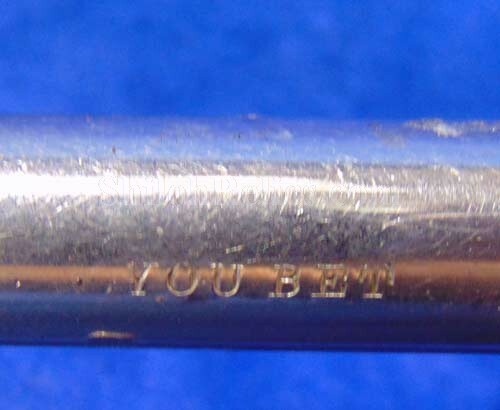 Along the top of the frame it has the generic trade name of "YOU BET". 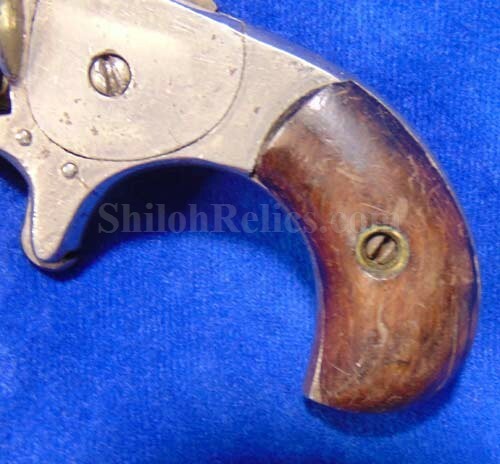 As you can see in the images the metal parts of the gun have some of the original finish. The action of the gun functions most of the time. 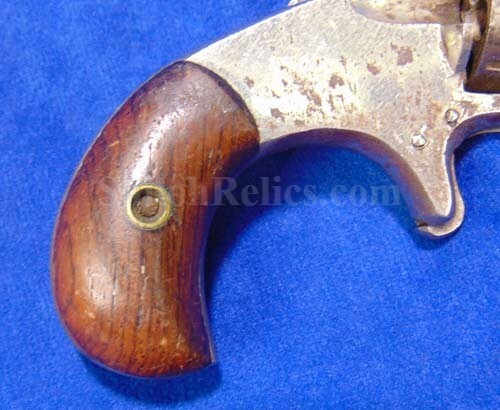 On the handle of the gun it has the original 2 piece Walnut wood grips intact. This gun would date from about 1880 or so. 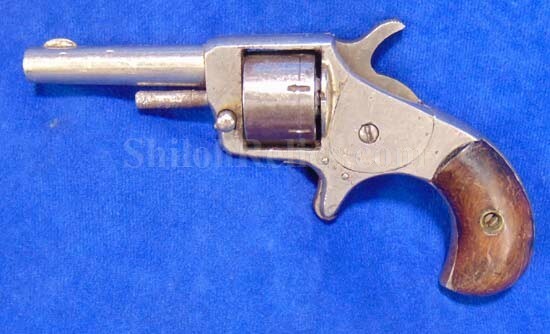 A very neat gun for only $150.